During the ongoing Congress Hearings of the Trump Cabinet nominees, the American relation with Iraq and the Middle-East came up several times. Few of us understand the Middle-East and many scholars who have lived and studied in this mysterious group of nations tend to say they still do not understand it fully either, though they are able to analyze its travels through history better than anyone watching the daily news. I was fortunate to be associated with a World Bank managed UN Trust Fund after the US-led invasion of Iraq and learned much from this experience, among others by traveling frequently to Jordan and Lebanon. Previously I visited Saudi Arabia (Jeddah) several times. I still remember sitting in front of the TV looking at the “Shock-in-Awe” images in 2003, seeing explosions like you see in movies or now on your tablet playing one of those silly war games. Then we saw how the US implemented the invasion thereafter. In my long-time project management experience at the World Bank, my immediate impression was, as it so often happened with well-intentioned projects in my Institution, it is very easy to start something on paper, but getting it implemented well is a wholly different ball game. And so it went: very bad. It had not been thought through. Though I was on the fence on the rationale for invading Iraq, after the surge in 2007 a noticeable improvement occurred in our project management (this will be a repeat of a previous post next time). Perhaps in hindsight, it was a strategic mistake to go after Sadam Hussain, but once that was done, it was even a greater mistake to withdraw from Iraq all together in 2011, without leaving any protection on site. And so, my deepest frustration was that with American foreign policy management, national politics and partisan ideology often screw up world affairs. The hearings brought this out. That’s why I posted this blog in 2014 and I consider it still very relevant today. Well, with medieval ISIS on the attack, Nouri al-Maliki letting it all happen, and the brave Kurds squeezed, we are all in tears, crying for Saddam, the “good old days”. Sure, Saddam was a ruthless tyrant. Iraq suffered huge crimes under his reign. 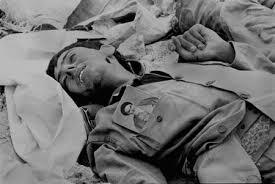 Shiites and Kurds got emaciated on various occasions. Iraqis were hard-pressed and frequently mistreated. But is Sunni ISIS not infinitely worse? At least under Saddam, Christians could live relatively undisturbed, though forced to pay the minority taxes. Even Jews originally lived relatively well among the Iraqi Arabs until Palestinian partition occurred in 1948, when some 150,000 Jews lived in Iraq. From then on, they suffered harshly and left, and in the seventies, the UN forced Iraq to let the remaining Jews emigrate. Saddam tried to make Mosul more Arab by moving Arabs into Kurdish areas and chasing out the Kurds. Now ISIS is beheading, killing, and torturing infidels on a large scale. However, there seems some similarity with Eva Peron’s love for Argentina and Saddam’s love for Iraq: he wanted to keep Iraq wholesome with his despicable mixture of Marxism and Nazism that his Baath party emulated, and he felt he had to do so with an iron fist because of Iraq’s multiple religious scissions and millennia-old tribal differences. Despite the fact that Iran provoked him into it, fighting an eight-year long war with Iran did not achieve anything. Still, it might have proven to the West that having Iraq doing the fighting was better than having the West to confront Iran. Then the allies came in to punish Sadam for attacking Kuwait and Israel, and later because he was developing and hiding WMD. He had used them against Iran and the Kurds, and to hide them stored them in bunkers, or shipped them to Sunni tribes in Syria or back to Russia where they came from using unseated commercial airplanes (with the help of “Chemical Ali”; remember that weird general jumping on TV?). This in anticipation of UN-resolution 1441 that sent UN “Inspectors” to Iraq as of 2002 but who could not find them anymore. (Remember also the desperate Hans Blix, who was accused of being “pro-Saddam”, finding only empty warehouses?). Proof: Syria used them in their current war with their rebels (or the rebels found them and used them to terrorize Syrians). Recently, after ISIS metastasized, ISIS occupies the Al Muthanna Chemicals Weapons Complex, Saddam’s ultimate chemical weapons facility, located less than 50 miles from Baghdad. Apparently, a lot of that material is still left in spite of what leftist pundits and commentators wanted us to believe that they did not exist during the Bush presidency. And what about Saddam’s nuclear program that was “dismantled”? All that uranium, bought from Niger, which was said to have been shipped to the USA? How eager were the “mainstream media” in the USA and Europe at the time to fall into the trap of the “non-wmd” propaganda! Only to pummel “Bush” who defeated their favorite global warming enthusiast Gore, as eager as they are now to support Hamas in its attacks on Israel. But “mainstream media” pundits are known to disregard history if they ever studied it, or facts when they don’t like them. They go by the emotions of their equally uninformed audience. 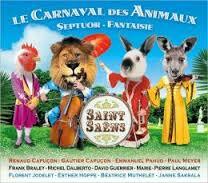 What a carnival of animals (apologies to Camille Saint-Saens). It’s doubtful that Saddam’s merciful God is helping much in current Iraq or what Saddam thought should be Palestine in spite of UN resolution 181 of 1948. For Arab dictators, it is difficult to accept a majority vote in the UN if they don’t agree. (Today, UN-membership has changed totally and, with it, its political colors. Anti-Israel majority votes are happily agreed.) But it’s also doubtful that Saddam’s “long live jihad and the mujahedeen” would have welcomed ISIS. Truth be told, the Bush Administration could have found out that most of the WMD had been removed but they did not: they, the allies and Congress wanted to get rid of Saddam as he was a pest in the region. In hindsight, Saddam could possibly have been contained at that time, leaving it to him to deal with the Iranians. The West could have continued protecting Israel with overwhelming military aid while maintaining tough sanctions on Iraq. Too bad hindsight never catches up with actuality. It would have saved many lives, including Iraqis, as well as so many soldiers maimed for life, and trillions of dollars gone up in smoke. The name “Iraq” was drawn from ancient Sumerian history dating back to the Sumerian civilization in the “Uruk” (“Ur” meaning ” city” in Sumerian) period that reigned that area some 4000 years BC! The 600-year Ottoman Empire (“caliphate”) which supported Germany and included millennia-old Mesopotamia, was dismantled upon Germany’s defeat in 1918 after World War I. The then League of Nations, established under the aegis of Woodrow Wilson, turned Palestine, Transjordan and the three Mesopotamian Ottoman provinces (Mosul, Baghdad, Basra) into British protectorates. Past caliphates show the surface they occupied. Under the Ottoman empire, “Iraq” comprised three provinces Mosul, Baghdad, and Basra. 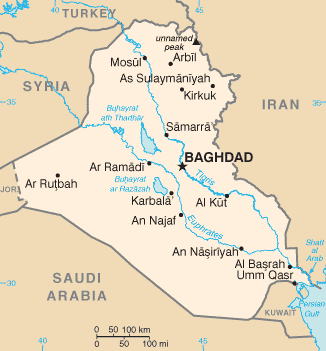 Several upheavals occurred in the Iraqi part, forcing the British to send troops in 1943. Sixty years later American and allied troops, including the British, invaded once more. The never ending story of the Middle-East. In Iraq’s new Constitution, under American pressure, Iraq was divided into 18 “States”. Federalism, let alone democracy, is an unknown form of Government in the Middle-East and it never worked in Iraq or anywhere else (except for democratic Israel). A unified Shiite, Sunni and Kurdish government is a pipe dream. Now we are dealing with an Iraq shattering back into several pieces, mostly according to religious and tribal adhesion, amidst ruthless intolerance and genocide of religious minorities. I am sure that Saddam would not have let ISIS cross his border. Nouri al-Maliki and the Iraqi army seemed totally impotent and, like the White House – although warned by its intelligence services that knew of ISIS in Syria -, it was taken by surprise. Maliki being a Shiite politician with strong Iranian ties – after all, he lived in exile in Iran for some eight years during Saddam Hussein’s regime – was unable or perhaps unwilling to form a unified Shiite-Sunni-Kurd government, which created deep Sunni resentment. The USA having withdrawn its troops left a terrible vacuum. Again it shows that short-sighted local American politics based on polls only bring havoc. With some greater effort in trying to convince Maliki, the USA could have left troops to support fledgling Iraq, but Iran told their ally to keep the USA out, and Obama (happily) caved. Saying now that keeping troops would not have prevented ISIS from entering Iraq is trying to justify irresponsible inaction, surely on the side of Maliki but also the USA. What remains to be seen is what local Iraqi Shiite politicians and activists like Mukthadar Al-Sadar with his Mahdi army and the Grand Ayatolla Ali-al-Sistani will do when ISIS approaches Baghdad, and if Iran will intervene when the Shiites are threatened. Sources say the Iranian Qud is already there, assisting Nouri al-Maliki. 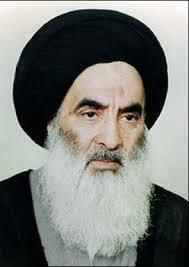 Sadar, a Sunni Imam, is against US forces propping up Maliki to protect Baghdad, so is Iran. 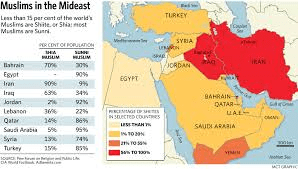 Saudi Arabia, Egypt, Jordan and Qatar are the main Sunni states in the Middle East. Sunnis are 90 % of the Islamic population, Shiites only 10 percent (mostly in Iran, Iraq and Oman). Egypt’s role has substantially strengthened politically in its mediation between Israel, the Palestinians, and Hamas. How will they react to Sunni ISIS? Inaction in Syria helped create ISIS and allowed it to grow from a small force to some 10,000 fighters (many more now in 2017), many of whom are radicalized Islamists from Western nations. It is being said polls reveal Americans are sick of fighting other people’s wars. But don’t they realize that rats take vacant territory? Is it not lack of leadership to hide behind that so-called sickness of the American people and do nothing? Should the leadership not point out the dangers of not willing to fight? And that, if you don’t, these rats may finally end up in New York port? Individual Islamists in the US may already have contact with ISIS through cell phones and e-mail and can rapidly be radicalized. Remember the Fort Hood shooting, the Boston bombing. Why did Hamas come to power in Gaza? Because the Palestinian Authority was unable to manage Gaza after Arafat was gone. What ISIS is doing in Iraq is worse than what Hamas is doing to the Palestinians in Gaza. Hamas and ISIS are both Sunnis. The danger of them connecting is clear. ISIS wants all, and “Levant” includes Jordan and Lebanon, both bordering Palestine and Israel, the reason why ISIS calls itself ISIL, Islamic State of Iraq and the Levant. A dire prospect. Unfortunately, for Western countries, they must defend their comfort at the cost of losing it, but tell that to the comfortable TV-looking beer drinking Westerners who imported millions of Islamic people to do work for them they don’t want to do, and who are now protesting in their streets. It takes good leaders to wake up their citizens, and good leaders are rare today. Beware whom you invite into your house! The origins of World War II stemmed for a good deal from wishful pacifism, cowardice, procrastination, and collaborators (! ), in the hope that it would not be all that bad as some were convincingly predicting. Suddenly Europe was run over and America and Canada had to help to protect themselves. Now America and Canada have large Islamic populations with no sense of assimilation with the history of their hosts, and the pride that goes with it, and, with their open borders, the potential for terrorist attacks is plenty, even more than was the case with 9/11. As long as the West has been involved in the Middle-East, it has been unable to implant its “rational renaissance” thinking that began in the Renaissance and overtook Islamic reactionary thinking, despite its past wealth of scientific, medical, and artistic creativity. Oil made it worse. Many different peoples in the Greater Middle East, including Iran, are ruled by religious mantras, outdated historical principles, and an unstoppable array of new masters of intolerance and cruelty, such as ISIS. My fear is that ISIS is just one more ugly Middle Eastern sore but the most vicious so far that will run its course causing many deaths and suffering, until its dreadful barbarity is eradicated by the Middle East itself, when it finally realizes that the 21st century has arrived and they must adapt to modernity rather than creating outdated caliphates, yelling with rockets to throw the Jews into the sea, screaming fatwas about planting Allah’s flag on the White House, and propagating that Islam is the only true religion. Next time: a soft-pedaled effort by the UN and World Bank to steer Iraq toward economic development. Brussels: A Cancerous Religion emerges. Brussels is again the focus of Islamic radicalism. Brussels is the center of the European Union and has been the center of Europe since the European reunification began after World War II. I worked and visited Brussels many times for work and pleasure. Like I mourned with my friends in Paris last November, I mourn with my friends in Brussels now. It is a place with great treasures, such as the Grand Place. 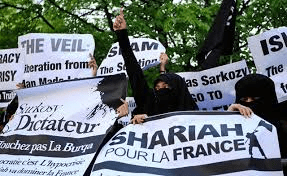 Now Islamic Radicalism is overwhelming the city with brutal force to stem the growth of Europe as a symbol of Western Union and Civilization after it stabilized after two terrible wars in the twentieth century and many more before since the Middle Ages. The issue of Radical Islam has become so predominant in current times that many believe it is something new that only now comes out of the woodwork. In fact, Islam has always been a political movement, starting with Mohammed whose armies swarmed over the Middle East to suppress peoples into submission. Islamic religion, the Quran, has many good thoughts, but it is also a religion of strife. Christ was a prophet of the cross, whose sacrifice we are remembering this week. Yes, many religious and political leaders have also abused and misused Christianity for political purposes. Popes, Emperors, Bishops and priests. Christian fundamentalism in the Middle Ages and many wars between Catholic and Protestant forces caused huge suffering and destruction for four centuries long. With the last remnants of these terrible fissures finally solved with peace in Northern Ireland only some fifty years ago, Europe no longer has religious wars between their main religious beliefs. Yet now Europe is again overtaken by Islamic Jihadism. Actually, Islamic strife has never really stopped. The Islamic march to conquer Europe was defeated several times, in 732 by France, in 1492 by Spain, in 1683 by the Austrians when the Turks laid siege to Vienna, and in 1918, when the last caliphate, the Ottoman Empire, crumbled at the end of World War I. But jihadism continued to rumble on after the creation of artificial Middle-Eastern countries from the broken Ottoman Empire, and the birth of Israel. Political Islam has consistently grown. Out of a deep hatred for whatever is “Western” or “Jewish,” activist Islamic groups have been attacking and murdering: Iranian Mullahs, Hezbollah, Hamas, then Al-Qaeda born from Saudi-Arabian Wahabism, and now ISIS and its offshoots. Islamic migration to Europe has been largely unassimilated. Zones of Islamic radicalism are created in Europe where police is not even allowed to set foot. Millions of people of Islamic belief live peacefully, doing their daily work, growing their kids, going to their mosques, trying to live a decent life. So why is it that many of their leaders continue their strive towards Islamic supremacy? The killing, at genocidal proportions, abhors every reasonable person, even peaceful Islamic believers. Why do they not stand up against their own? Rational Muslims must eradicate the cancer in their Islamic religion. Like any cancer, it kills. If the Muslims themselves do not eradicate this built-in cancer of jihadism in their religion, it will ultimately kill the religion itself. So far, few Muslims have spoken out. How many more terrorist disasters must happen before they realize they must put a stop to it to protect their own religion from oblivion? 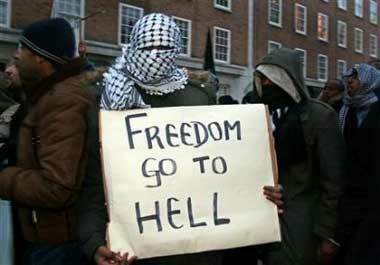 Christian and Western peoples are not going to let themselves be pulverized into Islamic submission. Jihadism will lead to further war, as it has done from the times that the religion emerged in 632. If that is their wish, it will cause Europe and the USA to lean more and more to leaders who will execute a radical counter-terrorist military offensive, and vote out politicians who practice peace, political correctness, and weakness. 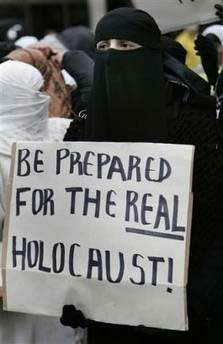 It will make the life of innocent Muslims more threatened than ever. They will only have themselves to thank for it. Mars Man and Kathryn are enjoying sunny conversations on the beach at St. Maarten, away from it all, especially the cold. Mars Man: I believe it’s Superbowl today. Kathryn: Yeah, the most inflated show of the year. Mars Man: I hear the former president is going nuts confined to his golf club on Hawai. Kathryn: From our perspective, he was already going nuts in the White House from what he was saying. Mars Man: They beheaded another guy, the beasts. They must have stolen those orange suits from the Dutch soccer team. Kathryn: What we need is a guy like Eisenhower. Go in there with allied forces in a big way and wipe them off the earth. Mars Man: It seems that Petraeus isn’t doing much about it either. I’d hoped that by now he would’ve pulverized them to pork stew. Kathryn: They don’t eat pork over there. Mars Man: What about that tape story that the Pentagon undermined Hillary on that Libya war? What with the White House listening-in device! Remember Obama saying that Muammar Gadaffi had to go? Like poor Hosni Mubarak? And what did we get in return? Four brave Americans dead and more of BHO’s cruel Muslim friends. Kathryn: He says he will degrade them and ultimately destroy them. What does that mean, degrade? So far they’ve been upgrading each day. Ultimately means he leaves it on the plate of the next president. Who said Michelle was a good cook? Mars Man: America is in deep dodo with this man. The chickens will come home to roost, like his master the reverend Jeremia Wright said when BHO sat in his pew but wasn’t listening. Kathryn: We heard the new Congress is acting up. All democrats are wearing long johns. Reid fell so hard over all his lies he was shoveling out of his office that he broke his nose, blinded one eye, and had to get a face lift. Mars Man: I heard it was O’Connell who’d punched him K.O. because he’d been so mean to him for six years. Kathryn: We got the measles again in the US. Unidentified measles. Came with the illegal border crossers from those third world countries visiting Mickey Mouse in L.A. Ever had the measles? Mars Man: We don’t have them on Mars. What do they look like, shrimps? Kathryn: Like mosquito or ant bites all over your body. Mar Man: Another good reason to keep you earthlings away from Mars. That last spaceship went to pieces again. If humans want to come to Mars, let them take Amtrak, but they may get stuck on the way. Kathryn: See who’s coming. Old Dr. Kisshanger and Lu from Chinatown, both peacefully together on the beach. Hi Dr.Kisshanger, Lu, how are you? Dr. Kisshanger: Fine, I’m still writing more memoirs. Our days were so much better than yours. May we sit down? Lu: Great to see you. Even though we’d hoped you’d do better under Chinese colonial rule, it hasn’t got any better in Washington. Kathryn: You taught them how to lie. For six years we haven’t heard anything but. What do you expect? Dr. Kisshanger: He who turns oriental gets disoriented. Mars Man: Lies in Washington are just the plain truth. If you told the opposite nobody would believe you. Kathryn: Well, Dr. Kisshanger, what do you feel about today’s world? Dr. Kisshanger: No see, no hear, no speak. Mars Man: But that’s Chinese! Lu: No sir! This is plain Shakespearian English. Besides, in China we no think either, just do. Kathryn: What would you do, Lu, if they are going to behead a Chinese? Lu: We’ll send them Chinese fruitcake with bomb mix. If not good enough, we drop them a million mad Chinese women. Guaranteed to work or your money back. Kathryn: What about all this religious doublespeak, Dr. Kisshanger? Dr. Kisshanger: He or she, who is without sin, throw the first stone. That’s why Obama doesn’t want to make war. Jeremiah told him so. Mars Man: Do you believe that, Lu? Lu: Dr. Kisshanger is without sin, as he came to China first. We Chinese don’t know what sin means. We’re Confuciused. Shall we have a glass of rum punch? Lu calls a waiter, who brings them four glasses of pink fluid on the ruble, with a slice of lemon, a straw, and loaded with rum. Lu: Cheers! Let’s drink on peace the Chinese way. Mars Man, sipping: What’s that, Lu? Lu: In five years, China will be omni powerful, and everybody on Earth will speak, read and write Mandarin, starting at Kindergarten, and be happy. That will shut up the Islamic Radical Extremists, as we rightly call them. Next step will be Mars. Mars Man: Don’t count on it, Lu. Your hieroglyphs aren’t working in space. You’ll be even more Confuciused and get stuck on the moon. Kathryn: Okay, guys! I’ll get us some Dutch oil balls. I hear they are good over here. Lu: Oil balls? Here? Can’t be. China has imported all the oil there is. Kathryn: It’s balls of dough fried in cooking oil, Lu. Like your good fortune cookies, but without your pin strips of Chinese Confuciun. Lu: I’ll come with you and then confiscate the oil. Kathryn: You can’t because you’ll create war with the French part of the island. They bathe in cooking oil. See you later. Looking at Iraq’s history, it’s amazing what difference one hundred years make in a span of 6000 years. Going back to Sumer, the region of city-states in ancient Mesopotamia, may be asking too much, but 1920, when the three Ottoman Empire Mesopotamian provinces, Mosul, Baghdad and Basra, became part of the British “Protectorate”, may be a good starting point. The following is drawn from various sources (Wikipedia, British, French,US journals, personal knowledge). The Ottomans ruled their Caliphate from Turkish Constantinople for 600 years! The word “Ottoman” is a historical Anglicisation of the name of Osman I, the founder of the Empire in 1299 and of the ruling House of Osman (Oghuz Turks, also known as the Ottoman dynasty). Osman’s name in turn was derived from the Persian form of the name ʿUṯmān (Source: Wikipedia). The Sultan represented the Caliphate. 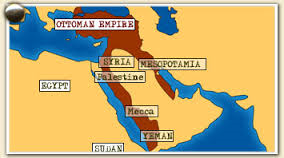 The Ottomans considered the Mesopotamian territories “backwater”. In 1918, the League of Nations handed them to Britain after the demise of the Ottoman empire, which had sided with the Germans during World War I, with the intention the territories should eventually become independent. But Mesopotamia consisted of a manifold spectrum of religious sects and tribal sheiks, which became a fundamental problem for the British from the outset to mold Iraq into a functioning state. All what followed since then until todate, just shows how little the populace of the “West” and the “Middle East” understand each other and how little the various sects in Iraq could collaborate. Every single stage in the evolving history reads like a horror thriller and is the basis for the Iraqi situation today. In hindsight, making a country out of Iraq with artificial borders crossing through sects and different peoples and their tribes (Sunnis, Shiites, Kurds) and various religions conflicting with a majority islamic population (Assyrians, Yazidis, Christians, Jews) never was a viable undertaking. The British Empire, before it started dwindling down, founded monarchies in the Middle East, including Egypt, starting in 1921, with the common structure of prime ministers, ministers and administrators in ministries. This because the political format of monarchy seemed to work rather well in the Middle East (Saudi Arabia, Morocco, Oman, Qatar). Thus, from a “backwater”, Iraq suddenly became a monarchy. Britain elected descendants of the Prophet of Mohammed (the Saudi Hashemite family) to lend it the true image of Arab and Islamic heritage. The Hashemite dynasty originates in the Hejaz, a region which is now part of Saudi Arabia. It had battled the revolutionary military “Young Turks” of the Ottoman empire of which it was part, with tacit British support. A secular movement, the Young Turks wanted abolition of absolute monarchies. They sided with Germany in World War I and were responsible for the genocide of the Armenians (Catholics and Protestants), mostly living in eastern Turkey, bordering on Russia, because they were accused of siding with the enemy Russia. They murdered about 1.5 million Armenians in the most abhorrent manner, a genocide Turkey denies till todate, demonstrating the intolerance of Islam toward other religions. 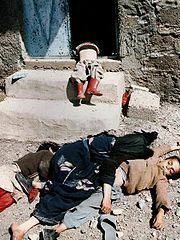 A courageous medic took clandestine pictures of it that exposed the horrors of the Turkish genocide. 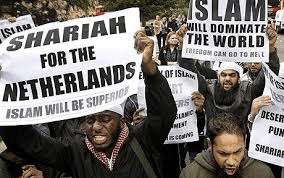 The Koran is often cited for spurring this violence for all Muslims to fight and kill nonbelievers: “When you meet the unbelievers, strike off their heads; then when you have made wide slaughter among them, carefully tie up the remaining captives” (Surah XLVII.4). (Source: Islam Review.com). We are reminded of that again today. Hashemite King Faisal 1 became King of Iraq in 1921 after a national referendum, and ruled till 1933, supported by British and Saudi administrators, largely foreign to the Iraqi population. In 1932, Iraq became an independent state. In the same year, the British appointed his brother, Abdullah I, the Emir of Transjordan. When Transjordan was granted independence in 1946, it became the Hashemite Kingdom of Jordan and Abdullah became its first King. The Hashemites, being of Sunni origin, were unpopular with Iraqi Shiites and Kurds, as administrators were mostly Sunni. King Ghazi 1, Faisal’s son, rose to the throne after his father’s death in 1933. A playboyish King, he was accused of Nazi sympathies and a strong supporter of panarab nationalism. In 1936, he allowed Bakr Sidqi, a Kurd, then Acting Commander of the Iraqi army, to take over government. This is being described as the first Arab coup in the Middle East. Bakr Sidqi, who had acquired solid credentials in the British army, was among others responsible for the massacre of 3000 Assyrians (adherents to the Assyrian Church of the East, a Christian sect dating from 400 AD that wanted autonomy) in Mosul and Simele in 1933. Adoring fast cars, and desiring to annex Kuwait (which the British opposed), King Ghazi 1 died in a car accident in 1939, which was suspected to have been engineered by Nuri as Said, a “repeat” prime minister in Iraqi Governments and sort of an eternal “Rasputin” behind the scenes, who was strongly supportive of relations with Britain. He was the only minister who did not accept Bakr Sidqi’s military overthrow and was exiled to Egypt. His life story, which ended with him being murdered at the end of the monarchy in 1958, reads like a political thriller as well. Ghazi’s son, Faisal II, was 4 years old and Abdul Ilah, the son of Faisal I’s brother, Ali, and brother of Faisal’s mother, Queen Aliya, became regent. 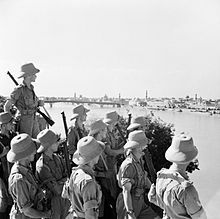 During World War II, Iraq was on the British side, but did not take part in the war. When in 1941, an Iraqi nationalistic military coup sympathetic to the Nazis removed regent Abdul Ilah, a brief Anglo-Iraqi war broke out. Faisal’s mother, Queen Aliya, then divorced from King Ghazi, fled with young Faisal II to Abdullah I in Jordan. The British restored order with the help of Jordanian forces, and Abdul Ilah was put back in power. Faisal II and his mother returned, but the Queen died in 1950. Faisal II went to school in England, together with his second cousin Hussein of Jordan and they became close friends. When Faisal II turned 18 in 1953, he became the official ruling King, but Abdul Ilah’s influence, very unpopular in Iraq because of his support of British influence in Iraq and denial of growing panarab socialist sympathies, remained unshaken. Even though under King Faisal II Iraq underwent substantial economic progress, local unrest, influenced by communist sympathizers in politics and the army, kept growing. King Faisal intrigued me because I was of the same age. He lost his father at four, and his mother when he was just 15. I remember collecting pictures of him at high school and seeing pictures of him on TV, which had just become a new medium, during his visit to Queen Elisabeth in 1956. In July 1952, The Free Officers Movement of Gamal Abdel Nasser had overthrown the Egyptian monarchy (King Farouk), which had deteriorated into complete decadence, and this was widely supported in Iraq. Nasser became President in 1956. Interestingly, he also booted out The Brotherhood after they tried to assassinate him. Faisal’s pro-British inclination and the influence of Abdul Ilah in his Iraqi rule, as well as the pro-British position of Prime Minister Nuri al-Said conflicted with Egypt’s popular panarab nationalism. Faisal II chose to support the British -French invasion in Egypt when Nasser nationalized the Suez canal. He and his administrators disregarded the Iraqi people’s support of Egypt’s and Nasser’s panarab nationalism, and broad action of reforms and economic development. This and the growing local inequalities between landowners, the elite, and poor peasants and workers, led to a popular revolt on July 14, 1958 (seems a favorable month for French and Arab revolutions). As the army had become increasingly supportive of the Arab nationalist movement, despite Faisal’s generous pay, General Abdal-Karim Qasim took power, inspired by Nasser’s July 1952 revolt. Using the request for help from Faisal’s cousin Hussein in Jordan against an escalating crisis of civil war in neighboring Lebanon as a ruse, he took to Baghdad and surrounded the palace with tanks. Interspersed by palatial coups, proving that military rule was no better than the monarchy, several military rulers assumed power of the Republic of Iraq. 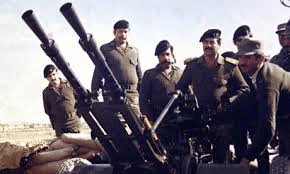 In 1979, General Sadam Hussain took the scepter, supported by the Revolutionary Command Council and the socialist-communist Baath party (founded in 1947 by three intellectual Syians, one Christian, one Sunni, and one Alawite!) We all know what happened since then (also see previous blog “Don’t Cry for Me, Iraq”). Michael Thornton, in an article in Mail Online (August 2008) reports that Saddam was haunted by Faisal’s brutal murder. He would secretly visit Faisal’s tomb to meditate and even upgraded it. 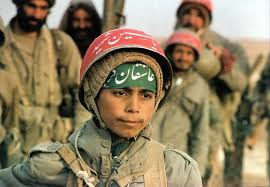 He had seen him parading through Baghdad as a young boy and King. Perhaps a feeling of bad foreboding? Today, Iraq is a crumbling fragile state and the US-imposed democracy after the 2003 invasion is hanging by a thread. Iraq had never known democracy and the Ottoman Empire was far from that. The monarchies were unfit for democratic rule. Democracy grows from within, but Iraq’s sectarian divides, which starkly increased as a result of the 2003 invasion, have made it even more difficult. ISIL saw its chance when it was unchallenged in Syria and found open terrain left by the Allies in Iraq. 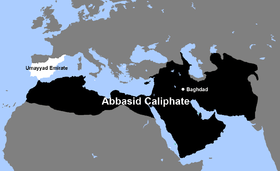 Caliphates are old but enticing ideas in the Muslim world and the Ottoman Empire was the last. We are seeing a repeat of the past cruelties that we had briefly forgotten about. In Jordan, King Abdullah II is the last Hashemite King remaining in Power. This beautiful Kingdom has strong Western and moderate Middle-Eastern ties, a strong army and modern leadership, keeping a keen eye on the welfare of its small population (7 million). It is deprived of natural fossil resources but exports phosphates and potash. It has been able to manage energy import wisely. Nonetheless, in the remote desert town Man’an, suffering from poverty and unemployment, ISIS has been able to start unrest. So far, this has been mildly but firmly suppressed by Jordan’s security forces. On the other hand, this trend confirms that the growing ISIS cancer must be stopped now to avoid that the whole area goes up in flames. Only strong Western and Middle Eastern leadership can eliminate the cancer. Stories on the internet are circulating about secret slaughterhouses in Syria where ISIS rebels systematically behead Christians, Jews and other minorities, and hang their bodies like cattle in a meat factory. Had journalist James Foley and other captured journalists seen too much? Is Assad the bad guy or is it the Islamist terrorists, as he claimed in his interview with Kucinich in September 2013? Why did they agree so quickly to handover WMD? Out of fear that it would fall in the hands of the rebels? Why do we know so little about it all? Maybe James Foley could have told us. Strategic action is needed soon, including in Syria (finally). Unfortunately for us, nor in the West, nor in the Middle East, do we seem to have strong leadership that appears able to bring it about. Let’s hope they wake up. 9/11 2014 is coming soon. Are we prepared? Next Time: Iraq, A Frugal Effort of Economic Development and Governance. Iraqis were hard-pressed and frequently mistreated. But is Sunni ISIS not much worse? At least under Saddam, Christians could live relatively undisturbed though forced to pay the minority taxes. Even Jews originally lived relatively well among the Iraqi Arabs until Palestinian partition occurred in 1948, when some 150,000 Jews lived in Iraq. From then on, they suffered harshly and left, and in the seventies the UN forced Iraq to let the remaining Jews emigrate. 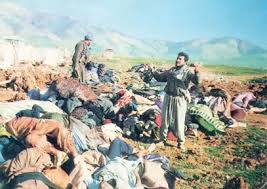 Saddam tried to make Mosul more Arab by moving Arabs into Kurdish areas and chasing out the Kurds. Now ISIS is beheading, killing, and torturing infidels on a large scale. However, there seems some similarity with Eva Peron’s love for Argentina and Saddam’s love for Iraq: he wanted to keep Iraq wholesome with his despicable mixture of Marxism and Nazism that his Baath party emulated, and he felt he had to do so with an iron fist because of its multiple religious scissions and millennia-old tribal differences. Still, it might have proven to the West that having Iraq doing the fighting was better than having the West confronting Iran. Then the allies came in to punish him for attacking Kuwait and Israel, and later because he was coveting WMD, which he had used against Iran and the Kurds, and hidden in bunkers or shipped to Assad in Syria to hide them (with the help of “Chemical Ali”, using seatless commercial airplanes; remember that weird general jumping on TV?) This in anticipation of UN-resolution 1441 that sent UN “Inspectors” to Iraq as of 2002 but who could not find them anymore. (Remember the desperate Hans Blix, who was accused of being “pro Saddam”, finding only empty warehouses?) Proof: Syria used them in their current war with their rebels (or the rebels found them and used them to terrorize Syrians). Recently, after the ISIS invasion, ISIS now occupies the Al Muthanna Chemicals Weapons Complex, Saddam’s ultimate chemical weapons facility, located less than 50 miles from Baghdad. Apparently, a lot of that material is still left in spite of what leftist pundits and commentators wanted us to believe that they did not exist during the Bush presidency. And what about Saddam’s nuclear program that was “dismantled”? All that uranium, bought from Niger, which was said to have been shipped to the USA? How eager were the “mainstream media” in the USA and Europe at the time to fall in the trap of the “non-wmd” propaganda! Only to pummel “Bush” who defeated their favorite global warming enthusiast Gore, as eager as they are now to support Hamas in its attacks on Israel. But “mainstream media” pundits are known to disregard history, if they ever studied it, or facts when they don’t like them. They go by the emotions of their equally uninformed audience. 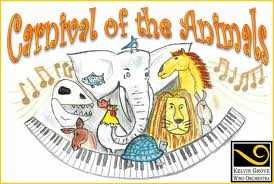 What a carnival of animals (apologies to Camille Saint-Saens). It’s doubtful that Saddam’s merciful God is helping much in current Iraq or what Saddam thought should be Palestine in spite of UN resolution 181 of 1948. For Arab dictators, it is difficult to accept a majority vote in the UN if they don’t like it. (Today, UN-membership has changed totally and, with it, its political colors. Anti-Israel majority votes are happily agreed.) It’s also doubtful that his “long live jihad and the mujahedeen” would have welcomed ISIS. Truth be told, the Bush Administration could have found out that most of the WMD had been removed but they did not: they, the allies and Congress wanted to get rid of Saddam as he was a pest in the region. In hindsight, Saddam could possibly have been contained at that time, leaving it to him to deal with the Iranians, while the West could have been protecting Israel with overwhelming military aid while maintaining tough sanctions on Iraq. Too bad hindsight never catches up with actuality. It would have saved many lives, including Iraqis, soldiers maimed for life, and trillions of dollars gone up in smoke. Under the Ottoman empire, what is now called “Iraq” comprised three provinces Mosul, Baghdad, and Basra. In Iraq’s new Constitution, under American pressure, Iraq was divided into 18 “States”. Federalism, let alone democracy, is an unknown form of Government in the Middle-East and it never worked in Iraq or anywhere else (except for democracy in Israel). A unified Shiite, Sunni and Kurdish government is a pipedream. Now we are dealing with an Iraq shattering back into several pieces, mostly according to religious and tribal adhesion, amidst ruthless intolerance and genocide of religious minorities. I am sure that Saddam would not have let ISIS cross his border. Nouri al-Maliki and the Iraqi army seemed totally impotent and, like the White House – although warned by its intelligence services that knew of ISIS in Syria -, taken by surprise. Maliki being a Shiite politician with strong Iranian ties – after all he lived in exile in Iran for some eight years during Saddam Hussein’s regime – was unable or perhaps unwilling to form a unified Shiite-Sunni-Kurd government, which created deep Sunni resentment. The USA having withdrawn its troops left a terrible vacuum. Again it shows that short-sighted local politics based on polls only bring havoc. With some greater effort in trying to convince Maliki, the USA could have left troops to support fledgling Iraq, but Iran told their ally to keep the USA out, and he caved. Saying now that keeping troops would not have prevented ISIS from entering Iraq is trying to justify irresponsible inaction, surely on the side of Maliki but also the USA. Sources say Iranian Qud is already there, assisting Nouri al-Maliki. Sadar is against US forces propping up Maliki to protect Baghdad, so is Iran. Saudi Arabia, Egypt, Jordan and Qatar are the main Sunni states in the Middle East. Sunnis are 90 % of the Islamic population, Shiites only 10 percent (mostly in Iran, Iraq and Oman). Egypt’s role has substantially strengthened politically in its mediation between Israel, the Palestinians and Hamas. How will they react to Sunni ISIS? Inaction in Syria helped create ISIS and allowed it to grow from a small force to some 10,000 fighters, many of whom are radicalized Islamists from Western nations. It is being said polls reveal Americans are sick of fighting other people’s wars. But don’t they realize that rats take vacuum territory? Is it not lack of leadership to hide behind that so-called sickness of the American people and do nothing? Should the leadership not point out the dangers of not willing to fight? And that, if you don’t, these rats may finally end up in New York port? Individual Islamists in the US may already have contact with ISIS through cell phones and e-mail and can rapidly be radicalized. Remember the Fort Hood shooting, the Boston bombing. Why got Hamas power in Gaza? Because the Palestinian Authority was unable to manage Gaza after Arafat was gone. What ISIS is doing in Iraq is worse than what Hamas is doing to the Palestinians in Gaza. Hamas and ISIS are both Sunnis. The danger of them connecting is clear. ISIS wants all, and “Levant” includes Jordan and Lebanon, both bordering Palestine and Israel, reason why ISIS calls itself ISIL, Islamic State of Iraq and the Levant. A dire prospect. Unfortunately, for Western countries, they must defend their comfort at the cost of losing it, but tell that to the comfortable TV-looking beer drinking Westerners who imported millions of Islamic people to do work for them they don’t want to do and who are now protesting in their streets. It takes good leaders to wake up their citizens, and good leaders are rare today. Beware whom you invite into your house! The origins of World War II stemmed for a good deal from wishful pacifism, cowardice, procrastination and collaborators (! ), in the hope that it would not be all that bad as some were convincingly predicting. Suddenly Europe was run over and Amerika and Canada had to help to protect themselves. Now America and Canada have large Islamic populations with no sense of assimilation with the history of their hosts, and the pride that goes with it, and, with their open borders, the potential for terrorist attacks is plenty, even more than was the case with 9/11. My fear is that ISIS is just one more ugly Middle Eastern sore but the most vicious so far that will run its course causing many deaths and suffering, until its dreadful puss is burned out by the Middle East itself, when it finally realizes that the 21st century has arrived and they must adapt rather than creating outdated caliphates, yelling with rockets to throw the Jews into the sea, screaming fatwas about planting Allah’s flag on the White House and propagating that Islam is the only true religion. No US and European pacifism will help. Peace through strength will. It had better start now.